Good morning. It's Wednesday, April 10. 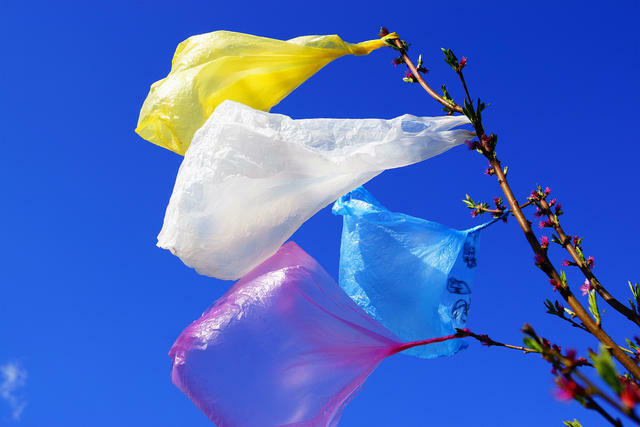 • Study finds plastic bag bans may do more harm than good. • A mayor declares himself to be "100% anti-Islam." • And a tour of 19 remarkable hotels across California. Researchers found that sales of garbage bags skyrocketed after bans of plastic bags in California. Turns out a lot of people were reusing disposable shopping bags for things like picking up after dogs or lining trash bins. So about a third of the plastic eliminated by the ban came back in the form of thicker garbage bags. There was also a surge in the use of paper bags, which studies show are actually worse for the environment. And what about totes? "Even worse." Prosecutors added new money laundering charges against actress Lori Loughlin and 15 other parents in the college admissions cheating scandal. The move raises the legal stakes for Loughlin, who now faces up to 20 years in prison. A law professor said prosecutors were trying to apply "plea pressure." “They’re playing very, very aggressively here," he said. DMV doldrums in Los Angeles. 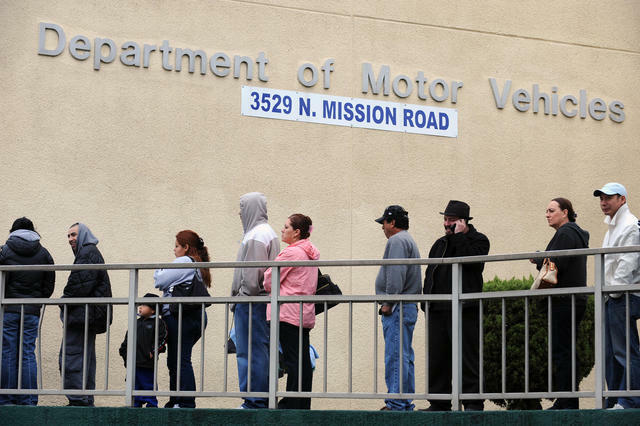 The L.A. Times did a four-month investigation of the botched "motor voter" rollout, an ambitious program to register millions of new voters at the California DMV. It found a project bogged down by personnel clashes, technological hurdles, and a rushed timeline. Also this: The system was found to be pinging internet server addresses in Croatia in an apparent hacking attempt. After a day of emotional testimony, state lawmakers advanced a first-in-the-nation bill that would limit when police officers can use deadly force. "This bill can save mothers from grieving the loss of their children," said a woman whose son was killed by Los Angeles police. A Sacramento County deputy sheriff who watched her partner die warned about the risk of officers hesitating for a fatal second in high-pressure encounters. "My only intention is to protect and save lives," she said. Visiting the Burlington Hotel is like stepping back in time. The Burlington Hotel in the Bay Area town of Port Costa is the oldest operating hotel in California. Established in 1883, it was once said to double as a bordello. Guests claim it's haunted. Atlas Obscura included the Burlington Hotel in its list of 19 unusual hotels across California. The Fresno Bee's parent company responded to Rep. Devin Nunes's lawsuit against the newspaper, calling it an attack on a free press. The statement noted the Republican congressman's decision to file in Virginia, even though McClatchy and the Fresno Bee are both based in California. Legal experts explained that California has among the most robust statutes against frivolous defamation lawsuits. 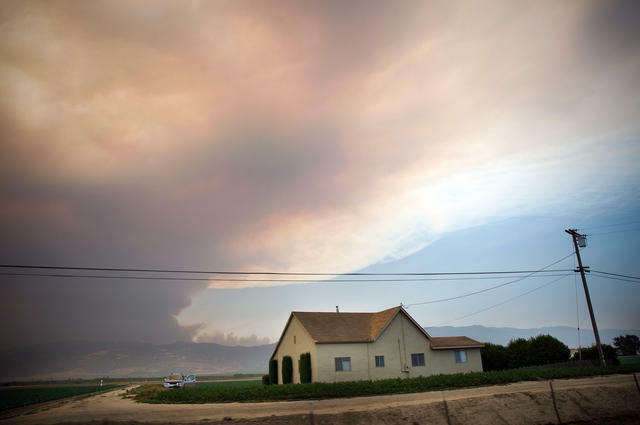 A fire burned in Big Sur in 2008. A water company in San Jose is seeking authorization from regulators to impose a surcharge on its customers. Why? To recover money lost from people conserving water. The utility has fixed costs, it explained, and rates are set according to anticipated consumption. "Not our problem," one customer wrote. 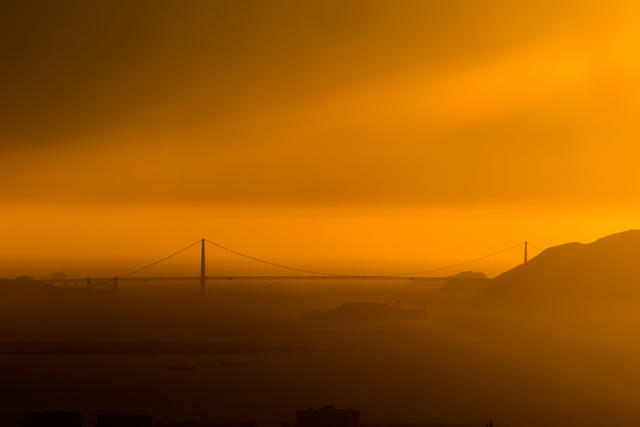 Author John van der Zee called the Golden Gate Bridge "America's Parthenon." U.S. News & World Report analyzed data on employment, quality of life, and other factors to rank the nation's best places to live. 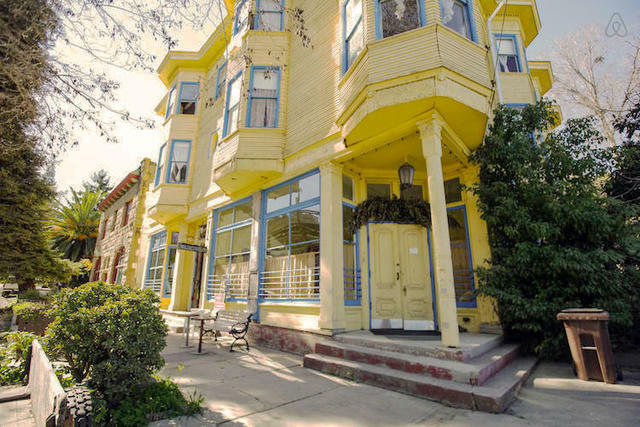 Despite a low "value" score, San Francisco came out on top among California cities at No. 7. "San Franciscans are bound by a strong sense of pride in their region," the magazine wrote. San Jose was next at No. 14, followed by San Diego at 36. No. 1 overall: Austin, Texas. An undated image shows the remnants of Falk within what is now the Headwaters Forest Reserve. 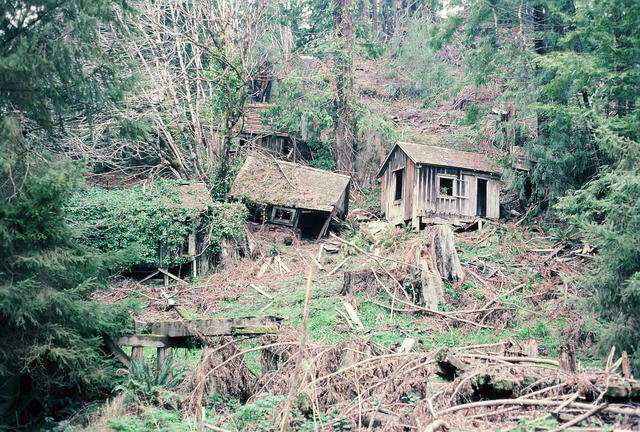 Deep within one of Northern California's misty redwood forests lurk the traces of a forgotten town. It started with Noah Falk, an Ohio entrepreneur who came to California during the Gold Rush but was lured to the "redwood gold" of the North Coast. He bought a tract of forest near Eureka for $2.50 an acre and established the mill town of Falk, complete with a general store, post office, and dance hall. It thrived for nearly 50 years before succumbing during the Great Depression. In time, bulldozers toppled the buildings and the forest reclaimed the land. Then in 1999, after a bitter fight between between conservationists and a lumber company, the area was protected within the Headwaters Forest Reserve. Hikers can still find remnants of Falk between the trees. Here's a short history of the ghost town at Visitredwoods.com, and a collection of archival photos on Flickr. Magic Johnson's announcement sent shockwaves through the Lakers organization. 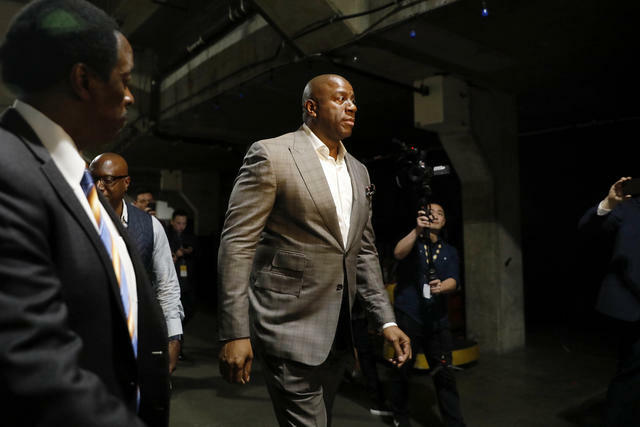 Magic Johnson abruptly stepped down as the Lakers' president of basketball operations. The move followed a disastrous season that ended with the team failing to reach the playoffs. Johnson made the surprise announcement, at times holding back tears, without first telling owner Jeanie Buss. "I couldn't face her to tell her," he said. In 2016, a retired police dog in the Central Coast town of Grover Beach got loose and attacked an 85-year-old woman. When David Fear, a neighbor, came to her aid, the dog turned on him, causing what a physician called the "most horrific" injuries he’d seen on the job. Fear died. Now the dog's former owner, a retired police officer, is on trial. If convicted, he could get nearly four years in prison. 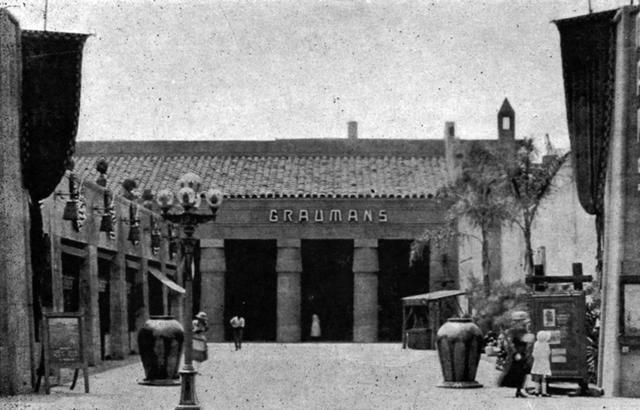 A postcard of Grauman's Egyptian Theatre, circa 1920s. Netflix, which has been feuding with Hollywood traditionalists, is in talks to buy one of cinema's most famous institutions: the Egyptian Theatre on Hollywood Boulevard. It would be the Los Gatos company's first brick-and-mortar theater acquisition and is being viewed as a way to endear itself with the film community. "I don't know about you, but I am 100% anti-Islam." That's Yucaipa Mayor Bobby Duncan sharing his thoughts on Facebook. The post and others targeting unauthorized immigrants has civil rights groups demanding an explanation. Asked for one by a reporter, Duncan said, "I don't really want to talk about it. I'm not going to discuss it with you. You can write what you want." 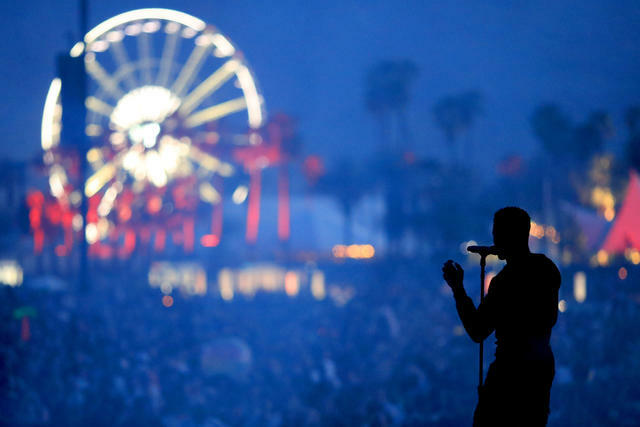 Long Beach–bred rapper Vince Staples performed during to the 2018 Coachella festival.